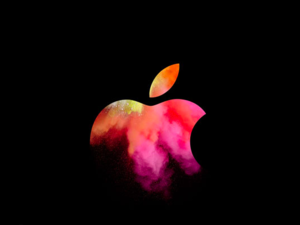 Apple is gearing up to release a full slate of new MacBooks. The MacBook Pro is long overdue for an upgrade, having languished since 2012. This will be the star of Apple’s “Hello again” event. According to Bloomberg, the 13-inch and 15-inch models will be thinner and lighter, but the biggest change is an OLED touchscreen display on the keyboard where the function keys would be. The Magic Toolbar, as Apple has reportedly named it, would make the keyboard contextually relevant, with the ability to change keys depending on which app you’re using. Ideally this feature would be open to third-party developers. The Magic Toolbar has a Touch ID button for logging in and using Apple Pay. KGI Securities, a reliable source of Apple analysis and predictions, backs up the Bloomberg report with expectations of a Retina 13-inch and 15-inch MacBook Pro with OLED touchscreen bar. 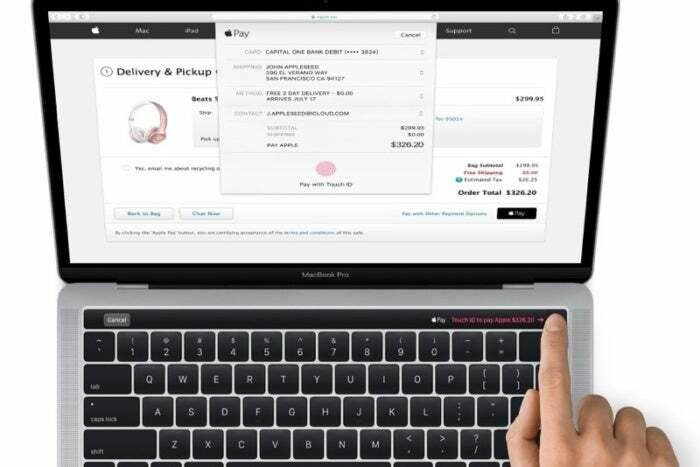 As leaked by Apple itself, the Pro will include Touch ID for Apple Pay, which makes sense given that macOS Sierra supports the use of Apple Pay on the web. It’s unclear what the next-gen Pro’s internals will look like, though KGI anticipates “many” major upgrades. The Magic Toolbar replaces the top row of keys on a traditional Mac keyboard. Yes, including the Escape key, which will now need a software equivalent. Other Pro rumors indicate that Apple is ditching its USB-A ports for USB-C, like the 12-inch MacBook, which wouldn’t be a terrible move now that many adapters, docks, and peripheral devices are compatible with USB-C. But banishing the HDMI, Thunderbolt 2, USB, and HDMI slots in favor of four USB-C ports sure would be a shock to the system. The USB-C ports support both USB-C and Thunderbolt 3, but get ready to buy some dongles for any peripheral devices you own that aren’t USB-C or Thunderbolt 3. The MacBook Pro may hang on to USB-A ports, but we may see the MacBook Air go all-in with USB-C. This would be less of a shock to the system than the Pro change (especially if the Pro sized down to one port). KGI Securities is expecting a 13-inch MacBook to join the 12-inch MacBook in the single-port Retina laptop lineup. The firm doesn’t say whether the 13-inch model would replace the 12-inch one, though it would be strange for Apple to sell two MacBooks so close in size. We’re a little skeptical about this one, but we’ll find out on Thursday. The iMac is definitely getting an overhaul. The only question is when. KGI analyst Ming-Chi Kuo, who has a pretty good track record when it comes to Apple product announcements, doesn’t expect new iMacs with AMD chips or that rumored 5K external display with integrated GPU, which Apple was reportedly working on with LG. The company phased out its 27-inch Thunderbolt Display this summer, so there’s a hole where a 5K display would slide in nicely. And both of those products are reportedly still in the pipeline, but it’s unclear if they’re ready to roll. Bloomberg also reported that a new iMac was in the works, but didn’t say if it would take the stage at Thursday’s event. Mac Pro or Mac mini? 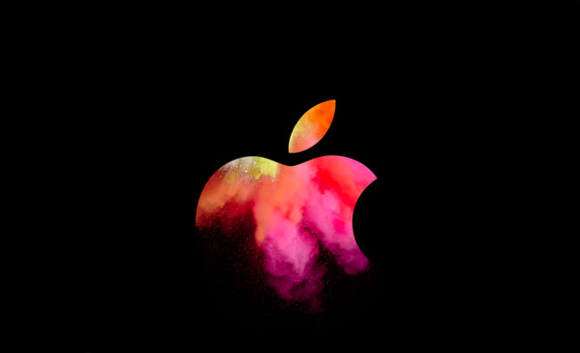 Usually in the lead-up to an Apple event, rumors about major product announcements start swirling months in advance. Unfortunately, there have been absolutely no leaked details about an overhauled Mac Pro or Mac mini. Apple could surprise us all with brand new versions of both, but don’t hold your breath.